Art historians have never fully agreed about what the key influences on Kurt Schwitters' sound poem “Ursonate” [1922–1933] were. Raoul Hausmann's poster poems are often cited as a source of inspiration and, according to myth, birds played a key role in the development of the “Ursonate”. I am happy to believe this version of what Kurt Schwitters could have heard in order to arrive at his phonetic poetry and its rhythmic score. 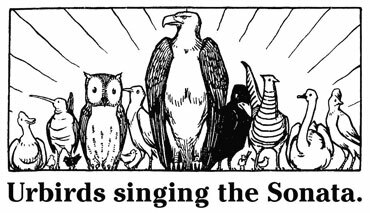 All of the original recordings used for “Urbirds singing the Sonata” stem from the book “Die Stimmen der Vögel Europas” by Bergmann, Helb & Baumann, published by Aula Verlag, Wiebelsheim 2008. The copyrights to the recordings are held by Prof. Hans-Heiner Bergmann, Ernst Arendt, Karl-Heinz Frommolt and Karl-Heinz Garberding, for whose kind support we are very grateful. 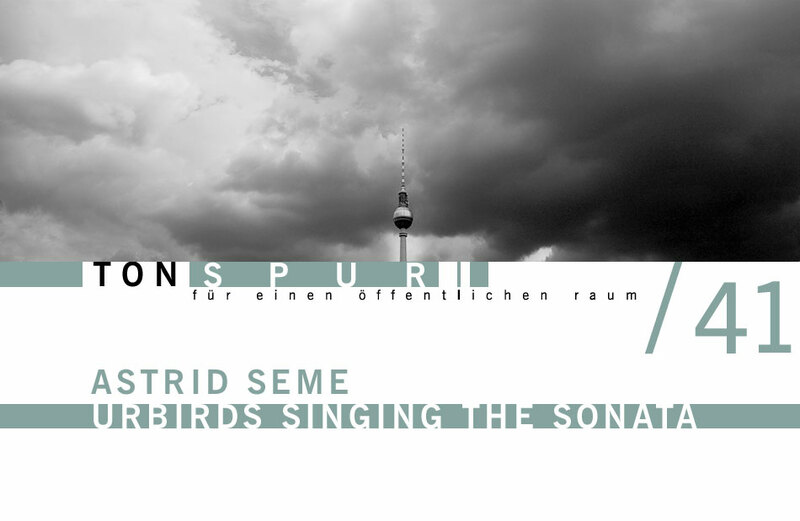 “Urbirds singing the Sonata” is available on CD in an edition of 100, released by Mark Pezinger Verlag, a publisher specialising in experimental art books. Astrid Seme, born in Graz, Austria in 1985, lives and works in Vienna.